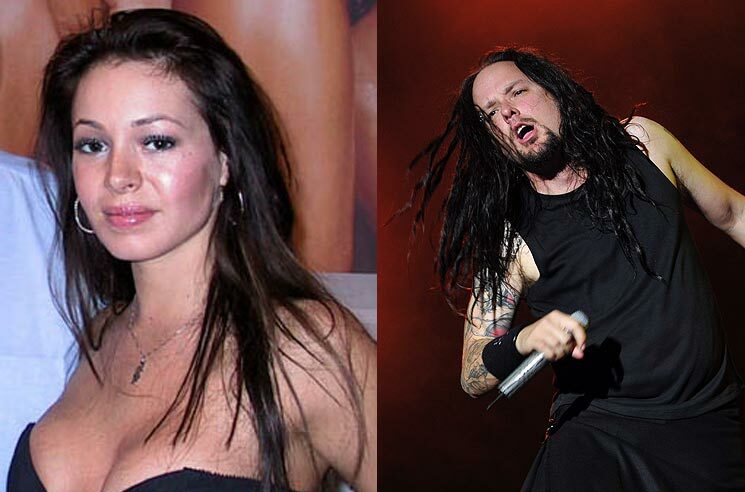 This past August, Deven Davis — the estranged wife of Korn vocalist Jonathan Davis — died at age 39. Now, the cause of death has been revealed. TMZ reports that Deven died from an accidental overdose. The site writes that legal docs reveal Deven had cocaine, heroin, clonazepam (anxiety medication), topiramate (nerve pain medication) and fluoxetine (antidepressant) in her system. Deven passed away August 17, the same day Jonathan had filed a restraining order for domestic violence against her. The temporary order reportedly blocked any child custody or visitation of their two children. Jonathan and Deven wed in 2004, with Jonathan filing for divorce in October of 2016, citing irreconcilable differences. Days after Deven's death, Jonathan shared a statement to social media, writing that "When she was her true self, she was an amazing wife, amazing mother and amazing friend. Deven had a huge heart, and she would never intentionally hurt her children or anyone that she loved. She was an incredibly nurturing, giving, loving and hilarious person."